Our new location at 606 Main Street, all the amazing people who helped us get there, and our wonderful customers who make every day worth it. We have a lot to be thankful for in 2013. 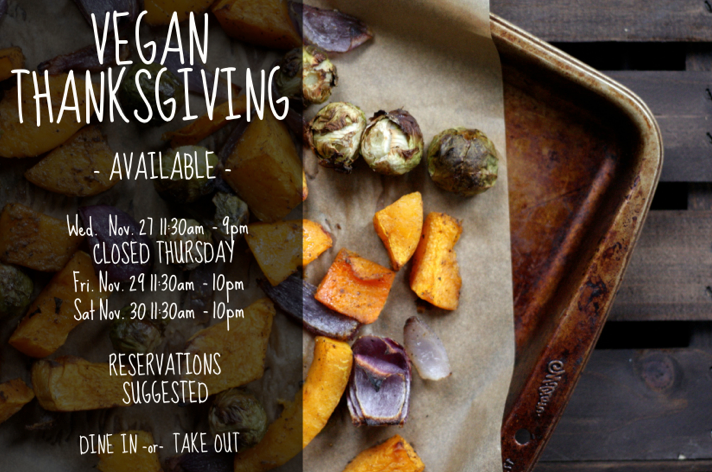 Celebrate with us at ION's yearly Vegan Thanksgiving Dinner! Eat in or take out, and check out the menu below!